Accommodation, Tourism, Events, Attractions and Discount Accommodation and Specials available in Mooloolaba on the Sunshine Coast, Queensland. For all your Mooloolaba hotels, Mooloolaba resorts, Mooloolaba apartments and Mooloolaba holidays. From luxury and 5 Star hotel and resorts to discount and cheap Mooloolaba accommodation - we have it all! Experts in Mooloolaba accommodation, tourism, events, attractions with discounts and specials. There is a diversity of accommodation in Mooloolaba on the Sunshine Coast. Check out our Mooloolaba rooms, rates and facilities. 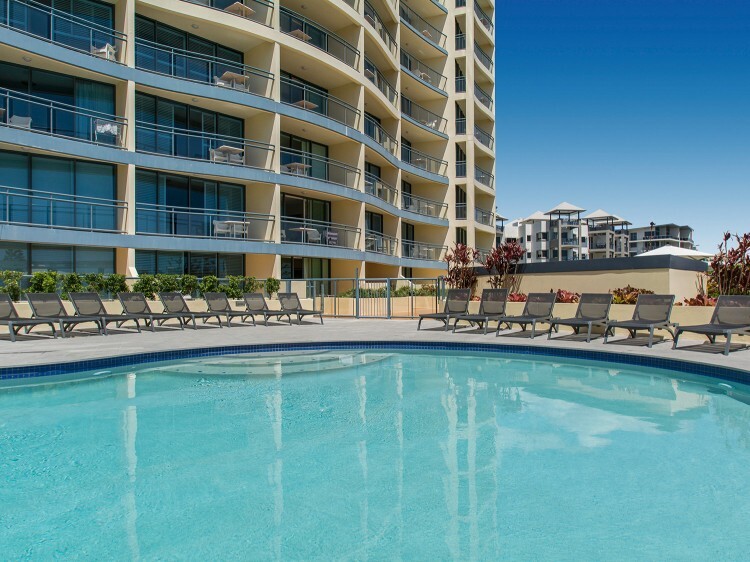 Every style and budget is catered for in Mooloolaba, from smart resort accommodation, luxury and five-star hotels, to budget beachfront apartments and cheap hotels. For all your Mooloolaba Accommodation - Mooloolaba resorts, Mooloolaba tourist information, hotel reviews, Mooloolaba maps, discount accomodation. Mooloolaba Queensland is an information directory about Mooloolaba Accommodation, Tourism, Events, Attractions and Discount Accommodation and Specials available in Mooloolaba on the Sunshine Coast, Queensland. An extensive range of accommodation is available for all budgets from 3.5 star to 5 star resorts and hotels, from family holiday apartments to luxury beachside villas, and complemented by a world class array of Mooloolaba restaurants and boutiques. Book your Mooloolaba accommodation or call our friendly Sunshine Coast Call Centre on 1300 665 277. The relaxing atmosphere of the Sunshine Coast, the friendly people and the endless sceneic beauty of Mooloolaba Beach make it a hugely popular destination to visit. With three patrolled beaches within 1km of each other, there is always somewhere that is perfect for you and your family to swim, whether it's big waves, medium waves or no waves that you are after. 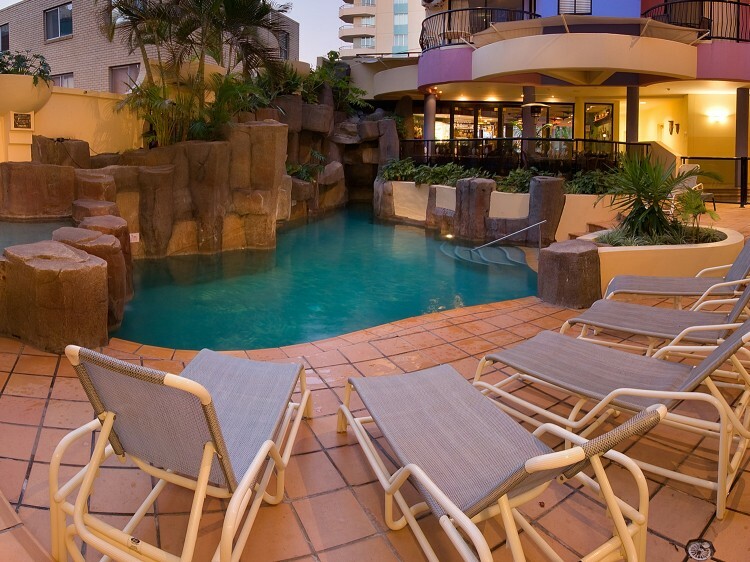 Mooloolaba - just come as you are, located on Queensland's Naturally Refreshing Sunshine Coast. Destination Mooloolaba is an easy journey for sun-seekers with several viable travel options on offer. Easy access to transport is available by plane, car, bus, boat or train. Mooloolaba Beach and its surrounds have so many attractions to entertain both the young and the young at heart during their stay. Take advantage of this coastal destination and book in for a fishing tour, cruise on the canals, snorkel in the sea or joy ride on a jet ski. At a depth of 27 metres, scuba enthusiasts from around the globe will be amazed at the world-class ex-HMAS Brisbane and enjoy the possibility of actually diving into the engine and boiler rooms. Dive with sharks and experience the creatures of the deep at Underwater World. Go in search of the majestic Humpback Whale on Whale One, departing from The Wharf, Mooloolaba. s Alternatively, explore the wonderful national parks and bush walks that will provide you with a whole differenct perspective of Queensland's Naturally Refreshing Sunshine Coast - visit Noosa National Park, the gorgeous Hinterland towns of Maleny, Montville, Flaxton and Mapleton. Swim in the secluded waterfalls that dot the area, and absorb the peace and serenity that the region has to offer.